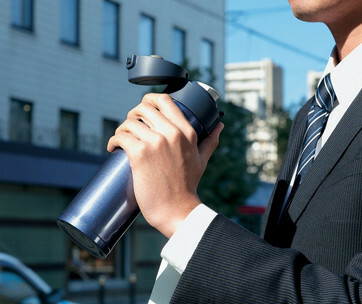 It’s the kind of flask that is surely going to generate a lot of interest in a crowd. As soon as you whip out the Ceramic Flask from Misc. 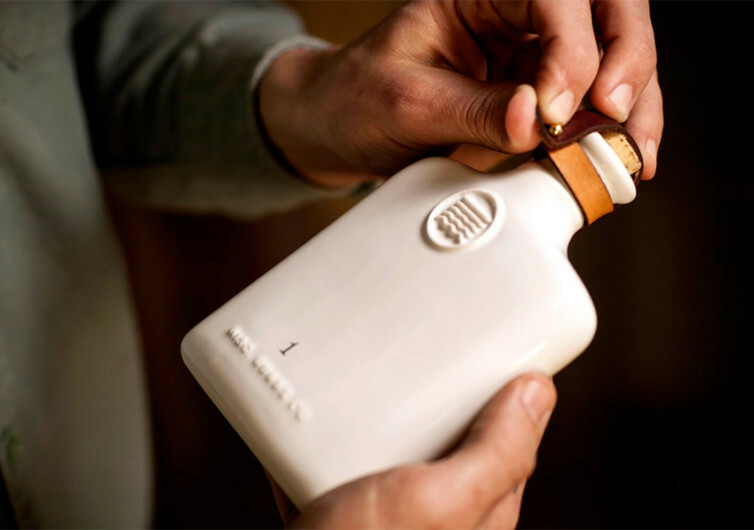 Goods Co., folks will be flocking towards you, drawn by the flask’s elegant and sophisticated styling or maybe even just curious as to what it really is. On the outside, the MGC doesn’t look like any flask that you’ve seen before. Maybe because it is quite an oddity to use ceramic as a material in the design and production of a vessel that is primarily intended to hold the spirits of one’s life. 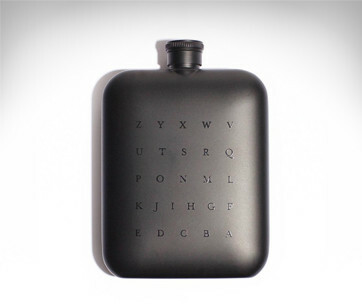 But, that’s exactly what the MGC Ceramic Flask provides. It’s highly unusual yet possesses a certain charm that can titillate the senses. There’s warmth to it every time you hold it and bring its lid to your parched lips. Caressing its smooth body is like touching your loved one, making love to it if you will. 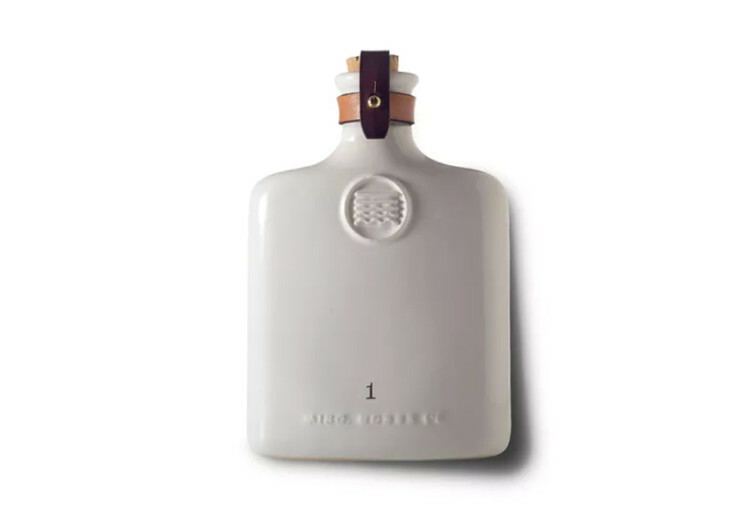 The quarter-inch thick ceramic walls should keep your liquor within your desired temperature; perfect for a solo flight or for sharing with someone else. The top comes adorned with veg tanned premium quality leather straps that secure the cork in its place. There are no caps to twist. The cork addition gives you the feeling that you’re actually popping a brand new bottle of wine every time you decide to take a sip from its lovely opening. Securing the straps and the cork in their place are 2 brass buttons that snap into place. The combination of woody cork, leathery cloth, and glittering brass is simply a welcome contrast to the sea of off-white ceramic. 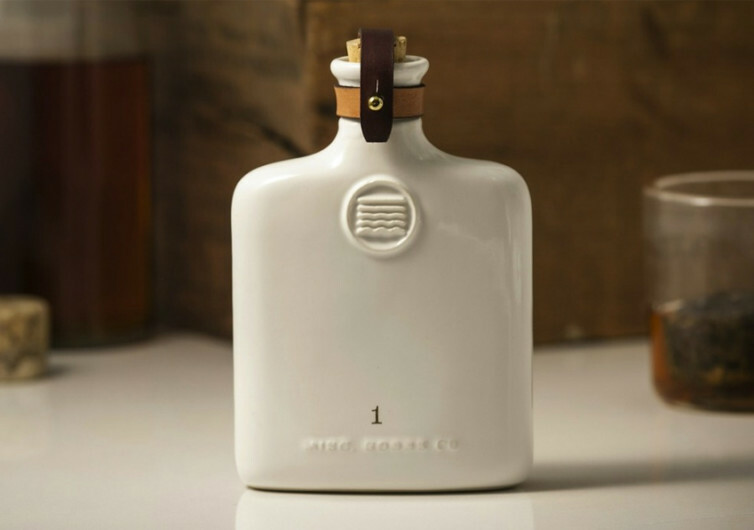 Whether it’s your favorite whiskey or rum, the MGC Ceramic Flask will hold it like any other flask. 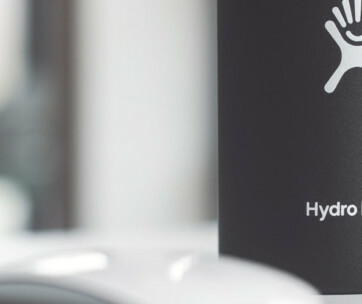 More importantly, it will deliver it to your lips in a fashion unlike any other.